Elaine Hancock (Olney, United States) on 19 June 2017 in Landscape & Rural. The farm has 200 acres. A good portion of the land is forest. Magnifique. Endroit serein et tranquille. Quel joli coin, en plus, parfumé ! Une jolie scène rurale et une belle palette de verts bien vifs. Beautiful image...the row of lavenders in the foreground is beautiful ! WHat a stunning landscape! I love the soft feel and colors. Feels so peaceful. Beautiful composition with the lavender on foreground . 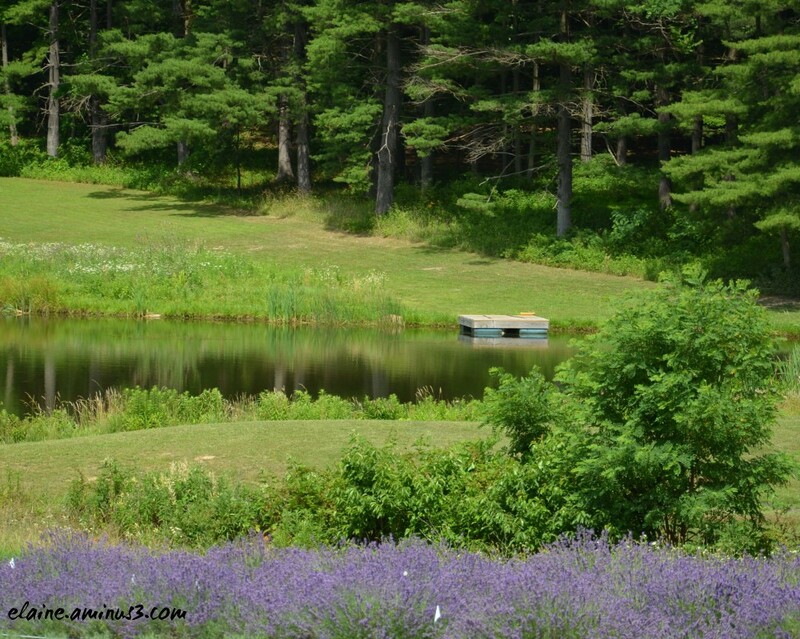 The lavender makes a great lead in for the pond. A fine picture. A lovely scene at the farm. A tranquil place to be and relax!! I love the colors and light captured here! Very beautiful scene, so peaceful ... and a perfect setting to enjoy the aroma of the lavender. Colors of a painting, lovely ! A feeling of peace and calm exudes.